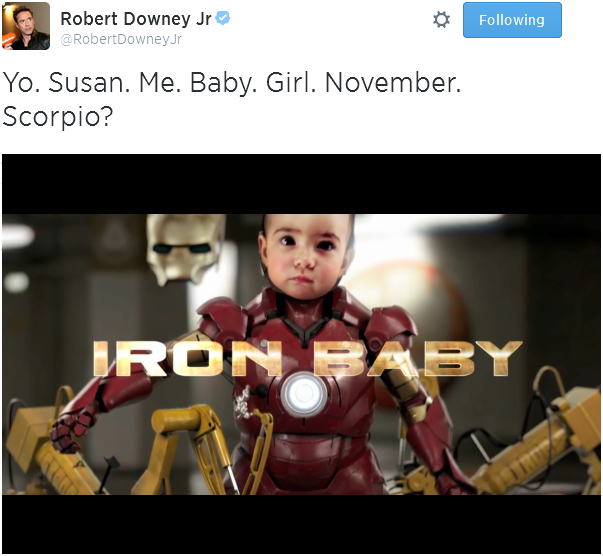 Exciting news from Robert Downey Jr (Iron Man, The Avengers): a baby’s on the way!!! A picture’s worth a thousand words…which is good because RDJ was a man of few words in his announcement. Congratulations to the Downey clan!!! …and for added enjoyment, the IRON BABY trailer by Patrick Boivin!